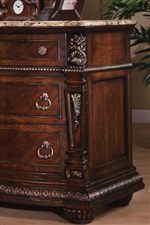 This elegant night stand is adorned with exquisite detailing and traditional features to stand out as an accent piece in any room. 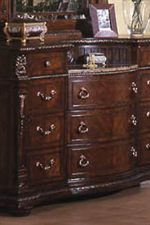 The bowed drawer fronts are highlighted with antique, brass finished hardware, blending in with the overall style of this piece. 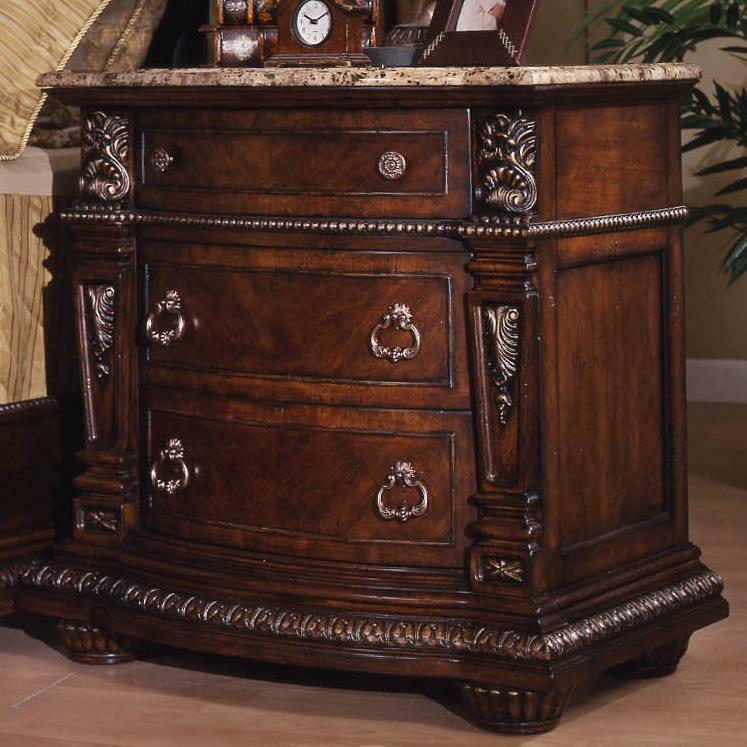 It is characterized by the detailed pilasters, beading, and extensive shapes that enhance its beauty. 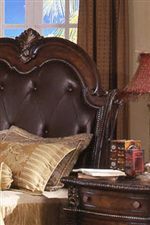 Completed with a laminated marble top and brown cherry finish, this night stand's visual appeal will be enjoyed by all. 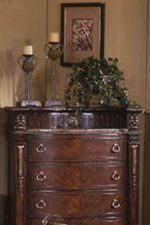 The Coventry Traditional 3-Drawer Night Stand with Laminated Marble Top by Holland House at Miskelly Furniture in the Jackson, Pearl, Madison, Ridgeland, Flowood Mississippi area. Product availability may vary. Contact us for the most current availability on this product.